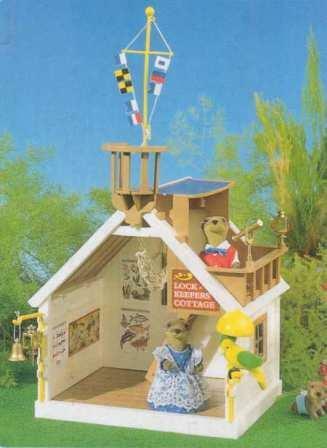 The Lock Keepers Cottage has got to be one of the more collectable Sylvanian buildings. The parrot, I'm afraid is very hard to come by, or so in demand. They must fly somewhere! Lots of interesting parts for this rather special cottage.